This is a collection of the best WooCommerce ecommerce WordPress themes to build an online store. Combined with powerful ecommerce plugins such as WooCommerce, WordPress can be used to build professional, fully featured, enterprise quality ecommerce website. This collection of WordPress ecommerce themes showcases some of the best ecommerce themes available for WordPress. These premium WordPress ecommerce themes will transform a standard WordPress install into a powerful, yet easy to manage ecommerce store website, and provide an elegant solution to showcase and sell physical or digital products online. 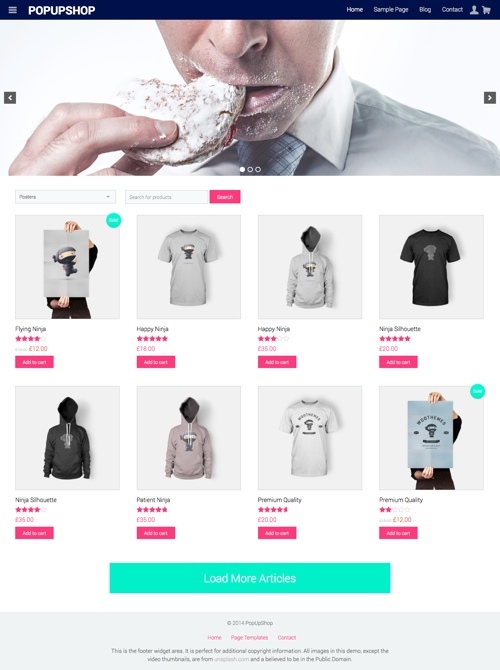 Outfitter Pro is a WooCommerce storefront WordPress theme for the Genesis framework. The premium theme has a beautiful, minimalist design and a stylish masonry style product display option for the homepage. 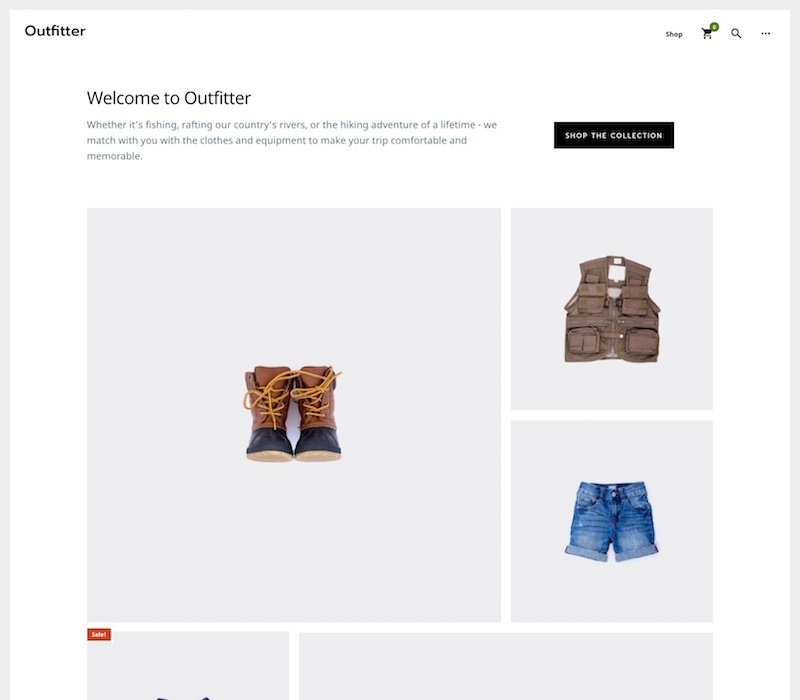 The Outfitter Pro theme is designed to help you drive more sales by inviting click-throughs to product pages and making the checkout process as intuitive as possible. 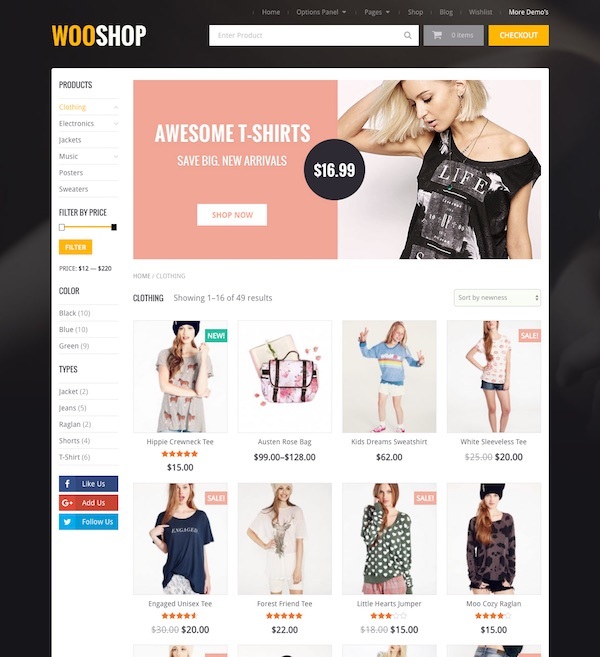 WooShop is a modern and stylish WooCommerce WordPress theme from MyThemeShop. It has a beautiful and professional design and comes packed with customization options, a stunning, responsive layout and an excellent selection of features. ShopIsle Pro is a multipurpose WooCommerce WordPress theme for any type of online shop. The premium theme from ThemeIsle has a beautiful and professional design with a full screen background homepage, nice category listings, mega menu, live customizer and Site Origin plugin support for drag and drop content layout building, and more. 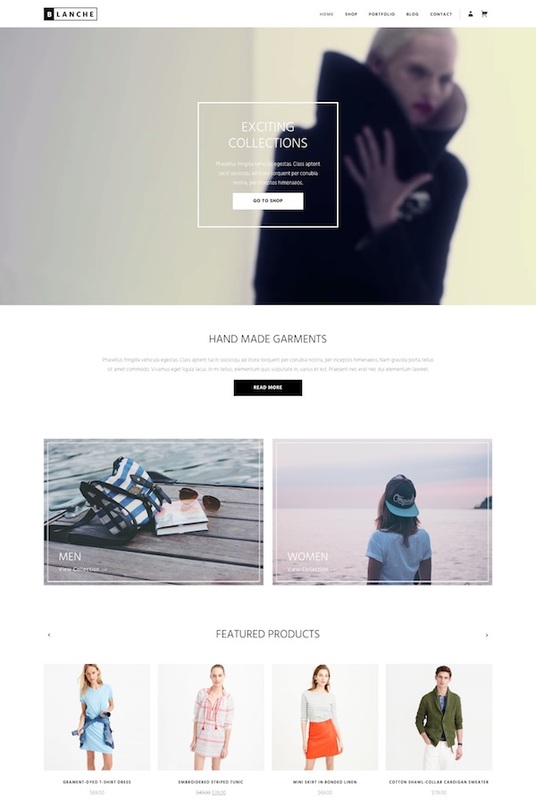 Hugo is a beautiful and sophisticated ecommerce WordPress theme. 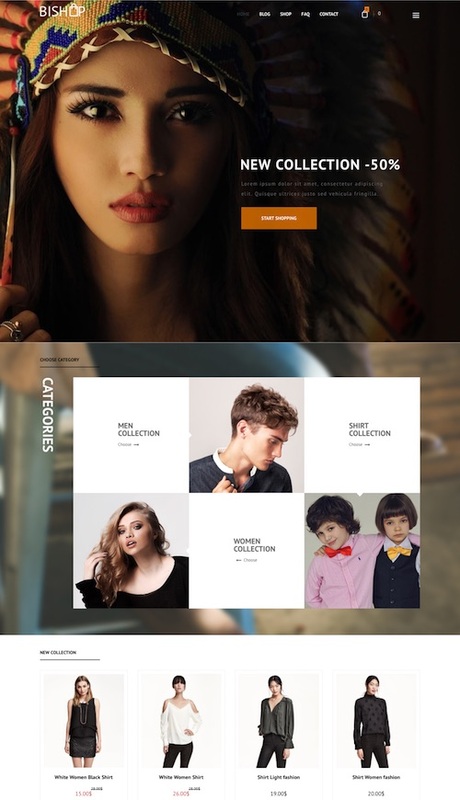 The premium theme from CSSIgniter has a truly unique layout and would be ideal for shops selling high end fashion, luxury products, or anything else. The theme supports WooCommerce – the most powerful and popular ecommerce plugins for WordPress. Some of the other key features include: drag and drop homepage, multiple color schemes, custom widgets, translation ready, mobile responsive and retina ready, speed and SEO optiimzed, theme options and more. Bishop is a multipurpose WooCommerce WordPress theme for online shops. The premium theme from Tesla Themes has a unique and professional design and is mobile responsive responsive. Some of the other key features include: 3 different homepage layout options, quick view product popup, product filtering options, drag and drop visual layout builder, currency switcher, slider, group view and single views for products, lots of customization options and more. 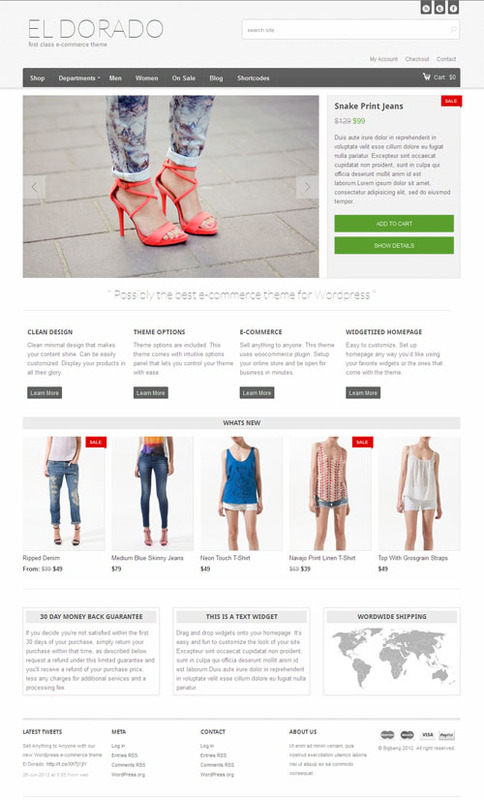 eCommerce is a stylish WordPress theme for online ecommerce stores using WooCommerce. The premium theme from MyThemeShop has a variety of good looking layouts to choose from and is mobile friendly with a responsive design. It also includes some useful ecommerce features such as wishlist and quickview, multiple product options and more. Some of the other key feature include: 6 different header styles, unlimited homepage layout combinations, various single page layouts, stepwise checkout process, unique product slider widget, featured products and related products carousels, “new product” ribbon, and more. 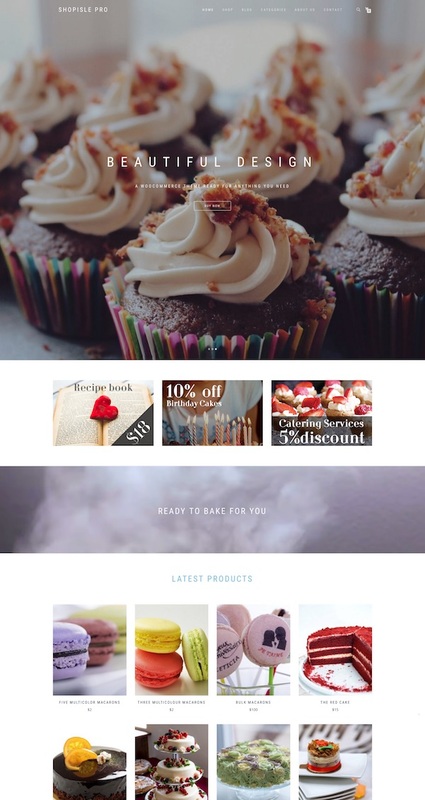 Amaryllis is a stylish and fully functional ecommerce WordPress theme from cssigniter. 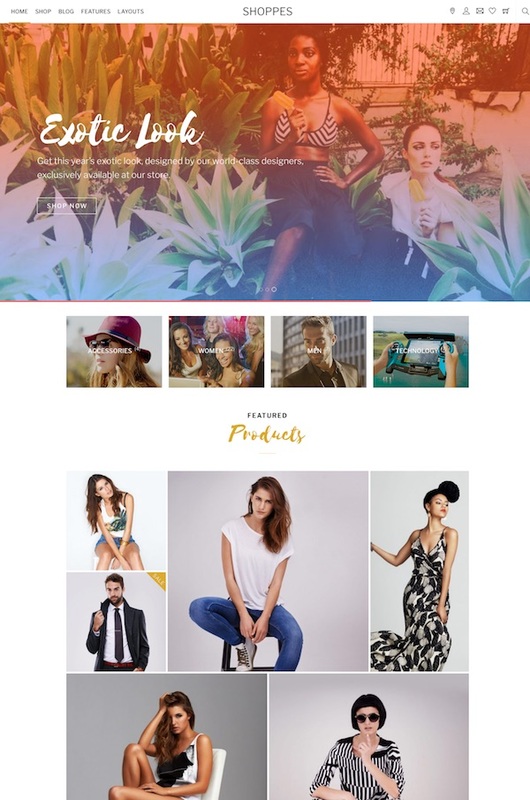 Them premium WooCommerce powered theme would be ideal for fashion accessory, clothing, jewellery, and cosmetic shops, but would work for all types of products. The homepage has a nice featured header image and sections for a welcome message, product categories, latest products and other widgets. Some of the other notable features of the theme include: fully responsive and retina ready design built on Bootstrap, option to use as a standard blogging theme, powerful settings panel (customize the homepage, change color schemes etc), localization options, shortcodes (via a plugin), custom menus and more. 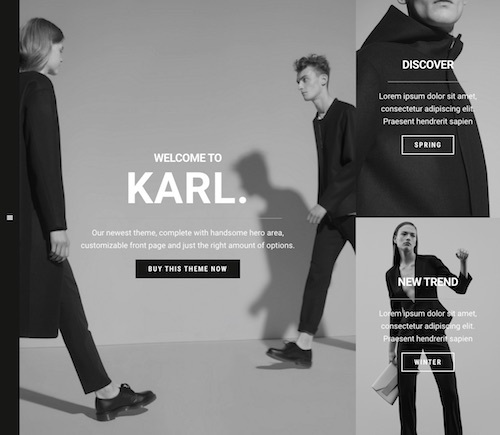 Karl is a creative, multipurpose child theme for the Genesis Framework. The premium theme from ZigZagPress has a unique and contemporary design that could be used for a wide range of purposes. It could be used for a portfolio site, blog, ecommerce store, business website, personal website or anything else. Some of the key features and benefits include: customizable front page with 6 different homepage layouts, a handsome hero area, left side mobile hamburger style menu, portfolio template, ecommerce support and shop templates, various styles (with custom elements, shortcodes, columns etc), mobile friendly design, SEO optimized, theme options, localization ready and all other great features and benefits of Genesis Framework which it runs on. 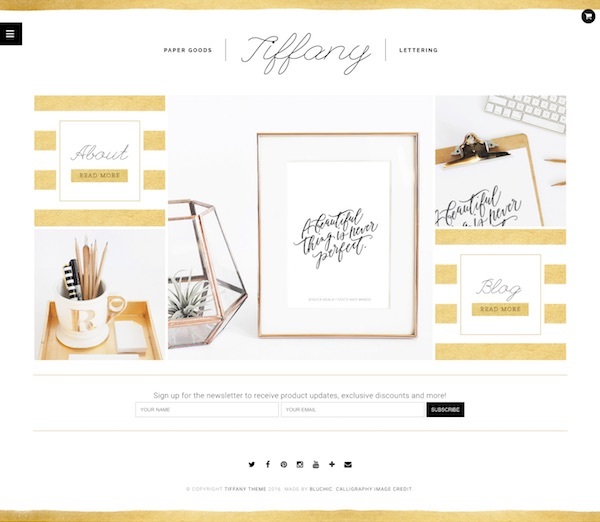 Tiffany is a stylish and feminine WordPress theme designed for ecommerce shops. The premium theme from Bluchic has a flexible minimalist design with a glamorous gold color scheme that would be ideal for selling a wide range of products such as clothes and fashion accessories, arts and craft, home decor, paper goods, or anything else. It has a banner tiled homepage for links to your shop categories etc, mobile responsive design, WooCommerce compatibility, easy color customization options, and more. 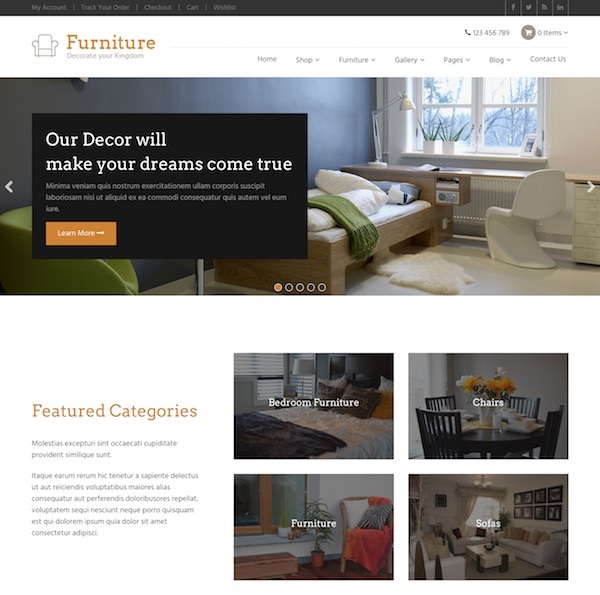 The Furniture theme is a multipurpose ecommerce WordPress theme from Templatic. 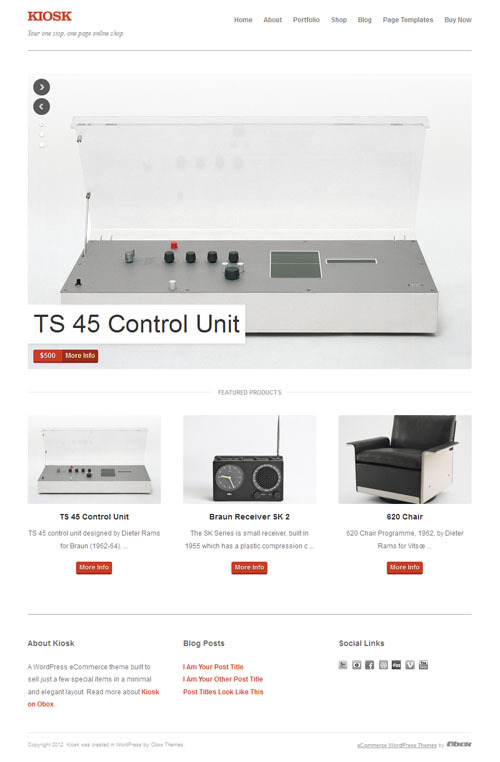 The WooCommerce powered theme would be ideal for selling furniture, home wares, arts and craft, electronics, or anything else. It has a clean and modern design and comes with all the features you need to give customers a nice browsing and shopping experience. 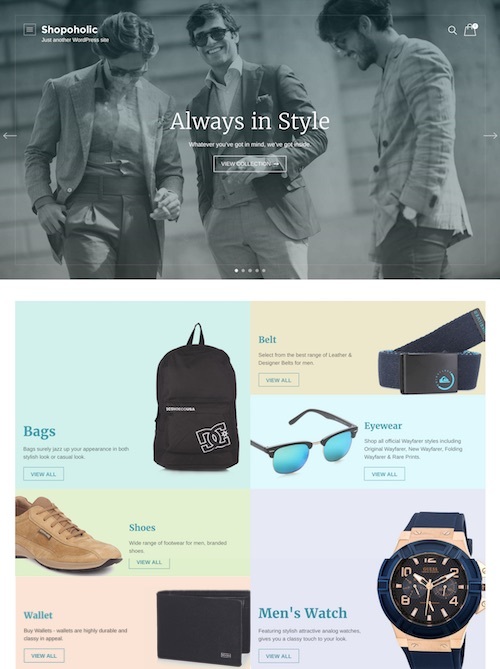 Shopoholic is a stylish WooCommerce powered ecommerce WordPress theme from Templatic. The premium theme has a sleek, modern and attractive design that will ensure people trust your shop and have a pleasurable shopping experience. 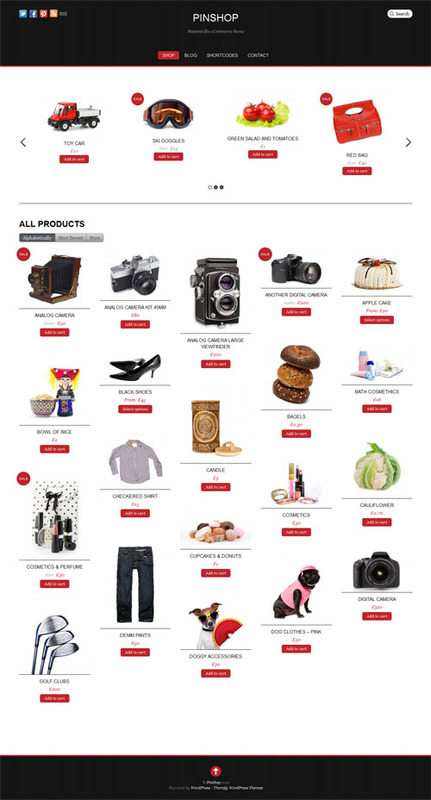 The homepage has a large featured image and beautifully organised categories to ensure the focus is on your products. Some of the other key features and benefits of the Shopoholic theme include: nice custom products category pages and individual product details pages, sort and filter options on category pages, quick pop-up view of your shopping cart, easy cart and checkout facilities, clear pricing and shipping information, newsletter functionality, WooCommerce coupons support, easy customization options, a mobile friendly responsive design, compatibility with a good selection of high quality WordPress plugins, and more. 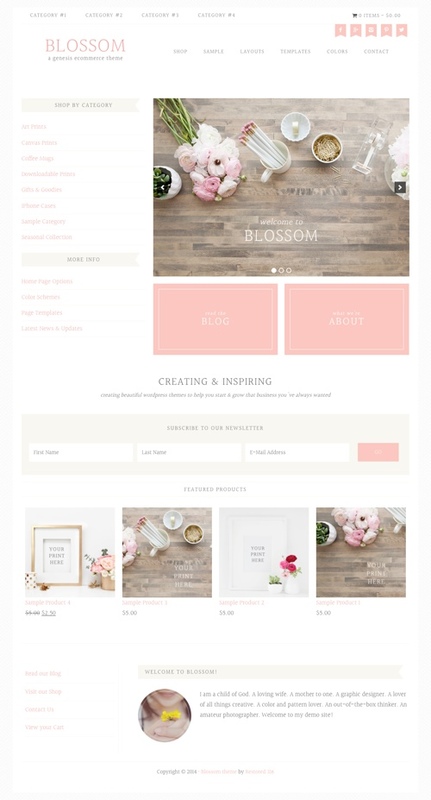 Blossom is a beautiful ecommerce WordPress theme that runs on the Genesis Framework. 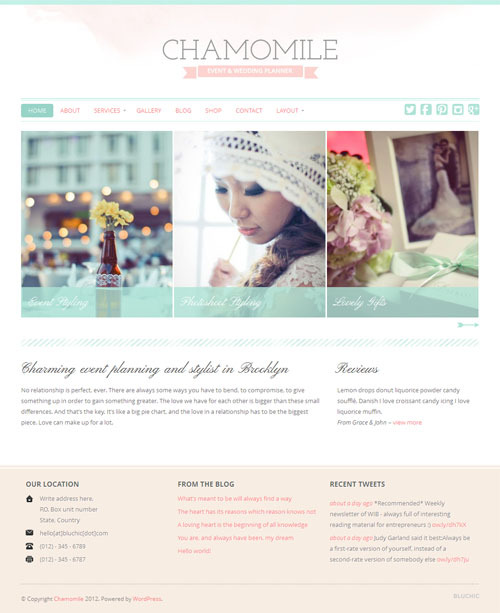 The premium child theme from Restored 316 Designs has a clean and feminine style with nice pastel colour schemes. It has six different homepage design options, a nice category index to display all your categories in the one place, 3 different page layout options, 3 colour schemes and options to create your own, WooCommerce ready, custom logo and backgrounds, footer widgets, HTML5 markup and a mobile responsive design so it works on all screen sizes and mobile devices. 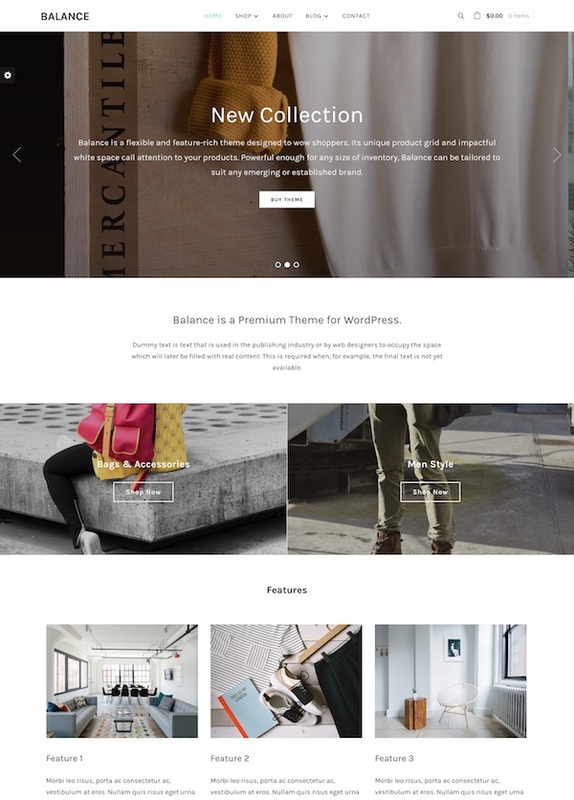 The Luxury WordPress theme from Templatic is an elegant ecommerce (WooCommerce) theme that could be used for any type of online store. The premium theme is mobile friendly with a responsive layout and has a modern and professional design that is flexible and customizable. The homepage has a full width slider to showcase products or sales etc, and below that, sections to display new products, best selling products, featured products and other information. The homepage is fully widgetized allowing you to easily arrange various elements the way to want. The product page, category page, search results pages, shopping cart and other pages have all been styled for WooCommerce and optimized for conversion. It also has filtering options for price, size, colours etc. The theme supports the WordPress Customizer so you can the colours, fonts, headers, backgrounds, logo etc easily with a live preview. 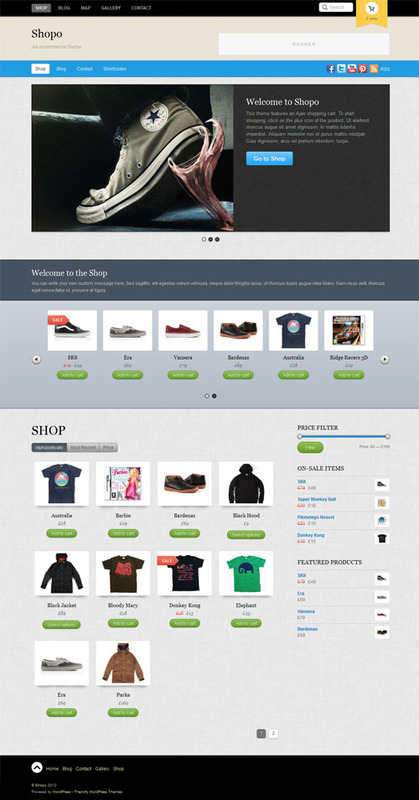 Style Shop is a beautiful and powerful ecommerce WordPress theme with a fully responsive design. The premium theme from Elegant Themes has a sleek modern design and comes with a powerful set of tools for running any type of online shop. 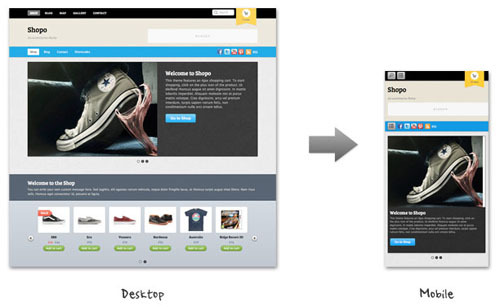 Style Shop is built on WooCommerce which is arguably the best ecommerce plugin for WordPress. WooCommerce is free and there are hundreds of extensions available for it also. Pop Up Shop is a mobile responsive WooCommerce ready ecommerce WordPress theme that could be used for any type of web store. 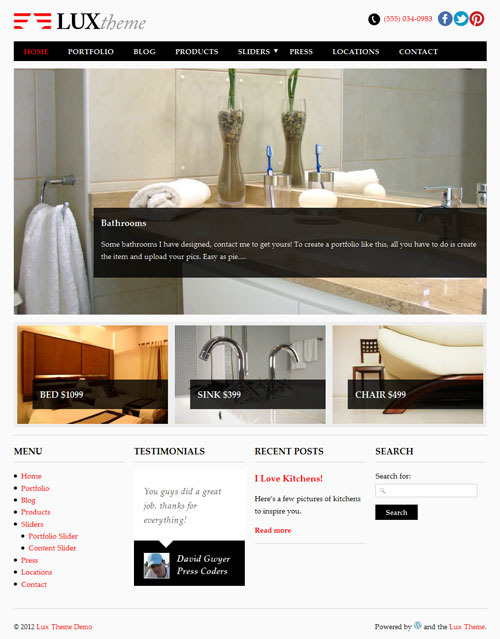 The premium theme from RichWP has an attractive design that is flat, minimal and modern. It has a fully responsive design that will automatically adapt to look good on tablets, mobile phones and large monitor and is professionally crafted with a high performing, lean and fast HTML5 code base. Some of the other key features of the theme include: easy logo integration, app-like fly out menu, sidebar-less design, colour and background change options, a useful set of page templates, featured slider and more. Flevr is a business / ecommerce WordPress theme with support for the popular WooCommerce ecommerce plugin. The premium theme from cssigniter has a very bold, modern and stylish design that is also highly customizable making it ideal for all sorts of business or ecommerce store websites. Some of the key features of the theme include: a drag and drop homepage (build your homepage exactly as you want showing your products, services, custom call to actions or anything you like), large featured image or video on the homepage, WooCommerce support (compatible and styled for WooCommerce), 7 post types (Slideshows, Portfolio, Features, Services, Team, Testimonials, Partners), custom widgets, shortcodes (via a plugin), color variations, localization, theme options, custom menus and more. Flevr is coded with WordPress best practice to ensure to ensure maximum compatibility with plugins and future WordPress versions. 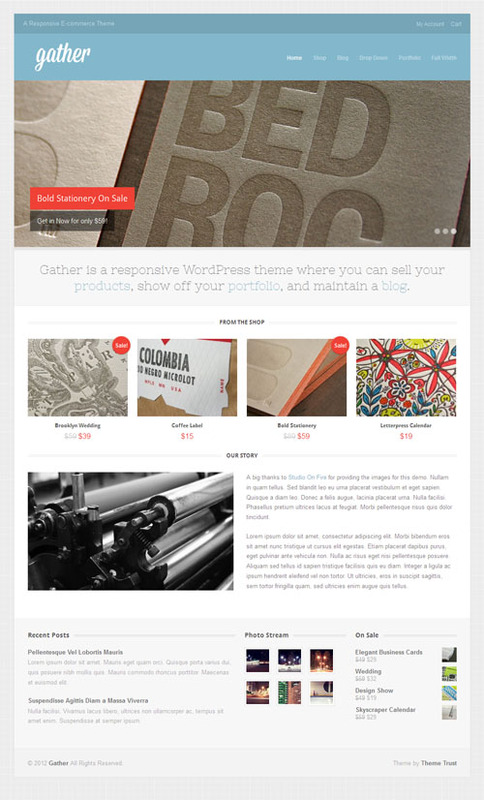 Gather is a beautiful minimalist ecommerce WordPress theme with a responsive design. The premium theme from Theme Trust allows you to sell your products, showcase your work and maintain a blog all together in style. Ecommerce functionality in the theme is powered by the WooCommerce ecommerce plugin so you can get a powerful and featured packed online store up and running quickly. Other features include a touch swipe slider, custom post type for portfolio management and a filterable portfolio template, Google fonts, and a custom options panel to set your own colours, backgrounds, logo etc. The theme also has a fully responsive design so will work and look great on all screen sizes and devices from mobile phones to desktops. Patron is a fully featured WooCommerce powered eCommerce WordPress child theme for the Genesis Framework or skin for the Thesis theme. The premium theme from Themedy has a very clean and professional design that is modern and flat. It would be suitable for any type of online store. 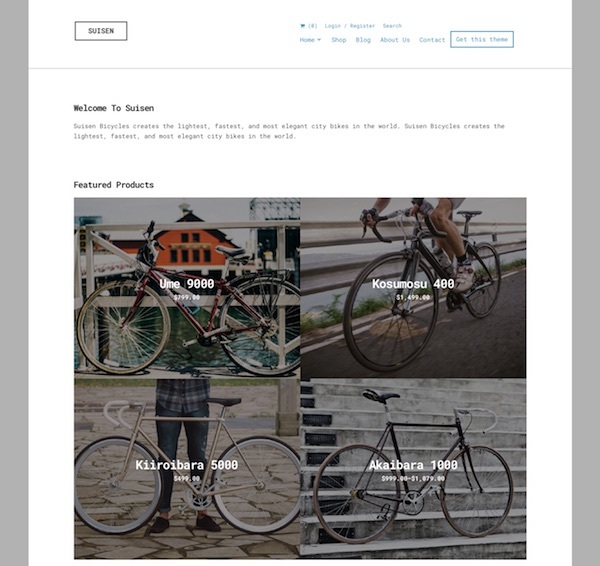 The customizable homepage has a bold featured slider, featured sections and sections for new product arrivals, product categories, and other content. Some of the other key features of the theme include: a mobile friendly responsive design, HTML5 and retina optimized, multiple styles and unlimited color possibilities, fixed header for easy access, a slick slide out mobile / tablet menu, custom shortcodes (for customizable buttons, styled lists, info boxes, quotes etc), backend options for easy control and customization, and more. UltraSeven is a mobile ready responsive WordPress ecommerce theme with a clean, minimal and ultra professional design. The premium theme from cssigniter integrates with the free WooCommerce plugin to transform WordPress into a beautiful, high end ecommerce store of any size, selling any type of product you like. The demo site shown below is set up for a high fashion designer clothing shop, but the theme could be used to sell any type of product be it clothing, electronics, art and crafts, books, toys, digital goods or anything else. The theme is so versatile it can also be used for a standalone online magazine website. Flourish is an mobile responsive ecommerce child theme for the Genesis Framework. The premium theme from Restored 316 Designs has a gorgeous feminine style ideal for women’s clothing and fashion stores, niche boutiques, jewellery shops, art and craft shops, or any other type of online store. The theme supports and is styled for the WooCommerce plugin, but it could also be used for a portfolio websites or just a blog if you wish. Some of the other notable features of the theme include: 7 colour scheme options, 3 layout options, custom background and logo, HTML5 markup, and all the other fantastic features and benefits of the Genesis Framework (required and sold separately). Zeon is an ecommerce WordPress theme from Tesla Themes with a clean, modern and mobile responsive design. The premium theme is powered by the WooCommerce plugin – the most popular ecommerce plugin for WordPress. The theme comes with lots of advanced features and everything you need to easily set up and run an online store. It includes a wide set of eCommerce features allowing you to: manage your products, orders, customers, inventory, shipping settings, and much more. 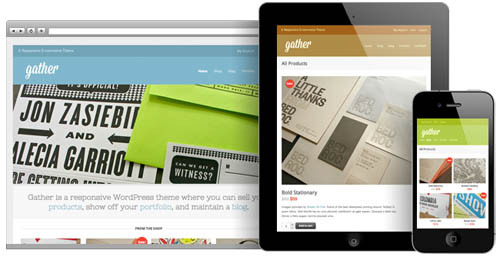 Some of the key features of the theme include: 5 homepage layouts, featured slider, product lists and filters (sort by popularity, rating, price and more), shopping cart, user account panel, rating system, Google web fonts, and a powerful admin panel to easily customize the look and functionality of your theme, without advanced knowledge of programming. 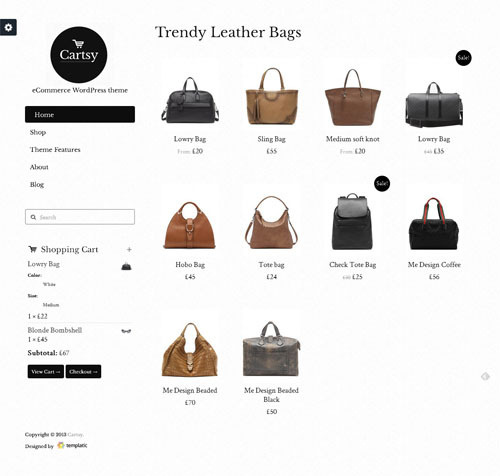 Cartsy is a simple but stylish ecommerce WordPress theme from Templatic. The theme is powered by WooCommerce – the most popular ecommerce plugin for WordPress so you can sell any type of product you like from physical to digital products. Cartsy is mobile friendly with a responsive design that will automatically adapt to display nicely on any device. It also has a really nice mobile navigation menu. 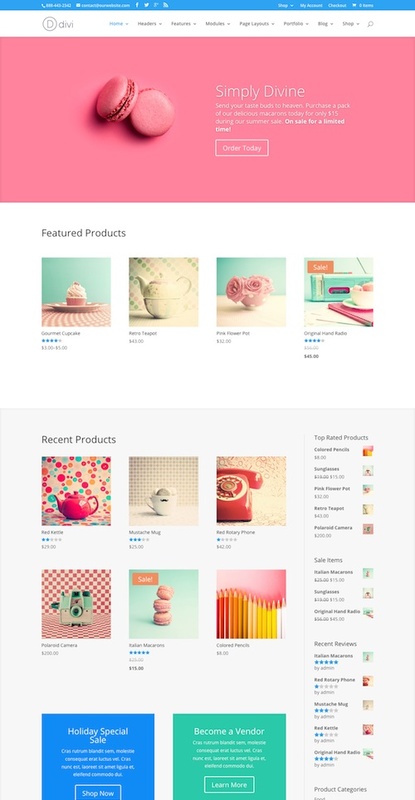 Pinshop is a Pinterest inspired responsive ecommerce WordPress theme from Themify. The fantastic looking premium theme combines the best elements of Pinterest and a traditional ecommerce website to provide a unique shopping website with a great user experience. The products load infinitely as you scroll down the page and buyers can view all products without having to navigate through multiple pages. The theme has a responsive design so all your products are displayed nicely in stacking order, and when the page is resized or viewed on a iPad, iPhone or other mobile device will automatically adjust and reposition the products for a great viewing and buying experience. 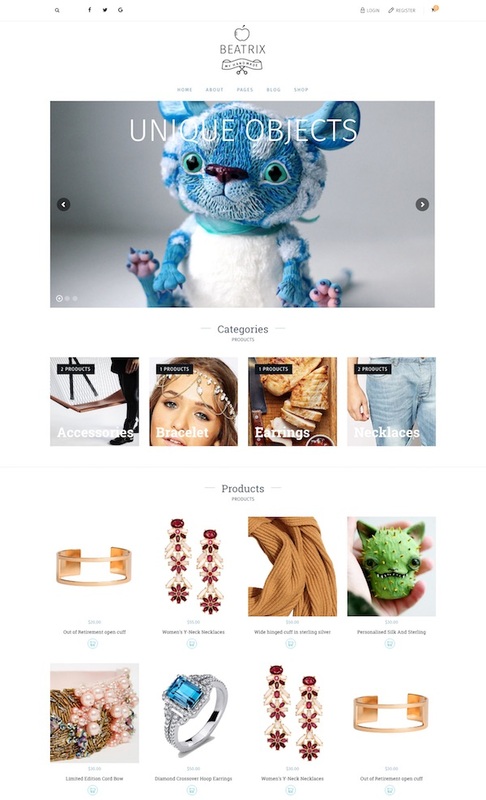 Pinshop uses the popular and powerful WooCommerce plugin for ecommerce functionality. It has a fixed top bar and shopping cart for easy navigation, and the ajax shopping cart allows items to be added directly to the shopping cart without having to go to individual product pages. Briefly some of the other features include: customisable shop pages, featured slider, various list and grid view layout options, 10 colour skins, theme options and more. 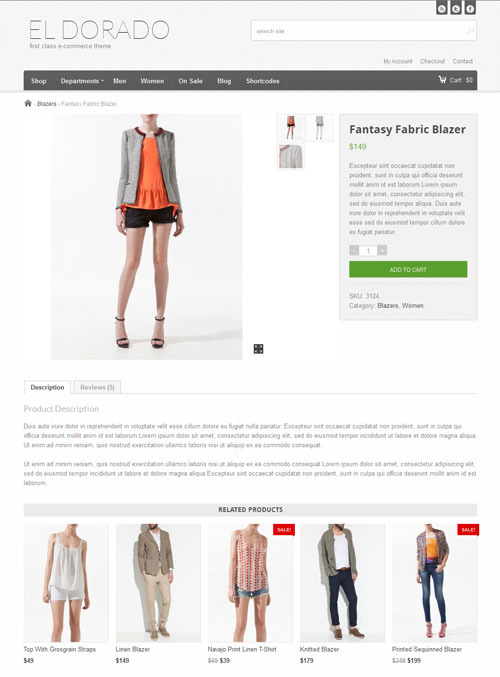 The Stylist is a multi-purpose WooCommerce theme for shops large and small. The premium theme from Obox Themes is ideal for fashionable online stores, however the flexible nature and extensive feature set of the theme makes it also perfect for a business website, portfolio, blog or anything else. 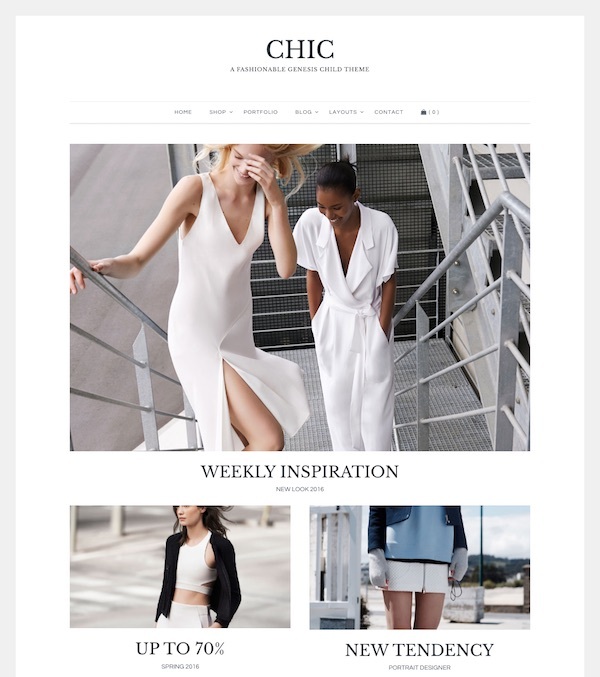 Stylist features bold headers, a large wide slider and image-driven layouts and widgets that ensure you content is centre stage. Some of the other key features of the theme include: video slider backgrounds, widgetized page builder and multiple layout options, 7 different post types, 100% responsive layout, WooCommerce support, contact form with Google map, portfolio section, services template, team page template, visual customizer (easy change logo, colours, fonts, borders, backgrounds, headers etc), useful custom widgets, translation support and more. Bizz Store is one of the best WooCommerce WordPress themes available. The premium ecommerce theme from Bizz Themes has a fresh, minimalist design and is incredibly powerful and includes everything you need in a shop website and more. BizzStore is built upon the Twitter Bootstrap framework, so with its powerful and comprehensive front end styling framework it’s easy to customise the look exactly to your needs. The theme also has an amazing template builder so you can rebuild and reshape every template in your site to get exactly the layout and design you need for your shop. The theme is fully integrated with the excellent WooCommerce ecommerce plugin which is free, powerful and extendable. Briefly some of the other features include 5 pre-made colour styles, featured slider, mega menus, extensive design options, and a fully responsive design so it works beautifully on all screen sizes / resolutions and all mobile devices. Kiosk is a simple and effective ecommerce WordPress theme built to sell a small number of items. The premium theme from Obox Themes is ideal for authors, artist, musicians and anyone else who needs an ecommerce website to sell 1 to 10 products. 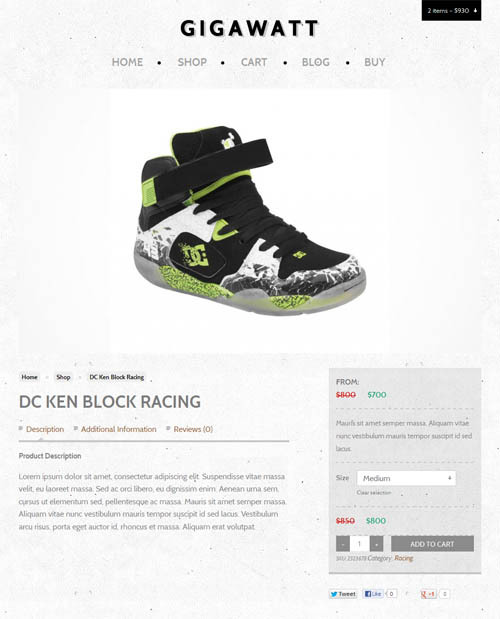 The theme uses the powerful WooCommerce plugin for the ecommerce functionality. Other features of this theme include a featured image slider, header image uploader, light or dark colour schemes, and a mobile ready responsive design. Jumbo is a flexible multi-purpose responsive WordPress theme with WooCommerce ecommerce support. The premium theme from Obox has a strong and bold design with a minimalist black and white colour scheme that is suitable for any type of online store or website. Jumbo is incredibly flexible with multiple homepage layout options and customisable inner page layouts so could be used for an ecommerce website, portfolio, business website, personal blog / website. Some of the key features of the theme include: a flexible drag and drop widget system homepage for endless layout possibilities, 12 custom page templates and custom post types (team, partners, testimonials and services etc), unique featured slider, portfolio section, a dynamic header and sticky navigation menu, WooCommerce ecommerce support, typography manager, visual customizer for backgrounds / logo / colours and much more. Jumbo is also 100% responsive so the layout automatically adapts to look great on computers, tablets and mobile phones. Flatshop is a beautiful and unique WooCommerce powered ecommerce WordPress theme that is mobile responsive and retina ready. The premium theme from Themify is perfect for small or large shops and includes some nice parallax scrolling and animation effects for an interesting and engaging user experience. Flatshop uses Themify’s Drag and Drop Builder so you can easily create unlimited custom product page designs by dragging and dropping modules on the page. Each page can be customized individually and categories can have a full width layout, 2, 3 or 4 column grid layouts. Some of the other features of the theme include: a full width slider, product pop-out lightbox, slide out menu and cart, infinite scroll or pagination, footer info and map, icon fonts and more. The theme can also be used without the shop functionality as a standard blog, statistic website, business website, online magazine, portfolio or anything else you might want. A responsive ecommerce WordPress theme from Themify powered by the WooCommerce plugin. It has a simple, minimalist design making it suitable for any type of shop. The premium theme provides a slick and easy shopping experience thanks to an Ajax shopping cart where buyers can add or remove items with a single click without reloading or redirecting the page. Other features include a large panel slider and product slider for featured products, 7 colour options, theme options panel for customisation, and a full responsive design meaning the layout automatically adapts to any resolution on any device whether desktop or mobile. Sale Junction is a versatile ecommerce store WordPress theme from Ink Themes. The premium theme is compatible with both the WooCommerce and Easy Digital Downloads ecommerce plugins enabling to sell both physical good as well as digital products. Some of the features include: a mobile responsive design, 7 colour schemes, customisable colours and styles, various page templates, numerous widgetzied areas and more. A premium ecommerce WordPress theme from Themify designed for bigger shops with a large selection of products. The theme is powered by the WooCommerce ecommerce plugin and has an Ajax powered shopping cart that allows customers to add/remove items from the cart without redirecting the page. Shopo has many promotional areas, duel navigations in the header, welcome message, feature slider and a customisable product slider. The ecommerce theme also has a responsive layout that automatically adapts to user’s viewport area to work beautifully on all desktop and mobile devices. Retail Therapy is a powerful, flexible and super stylish responsive multipurpose WordPress theme that can be used for an ecommerce store, business website or portfolio. A huge amount of attention to detail has gone into this premium theme from Obox Themes and it shows with pixel perfection. Features include: a drag and drop widgetized homepage, 12 page templates and custom post types (for things such as: team, partners, testimonials and services), unlimited colour options, ecommerce integration with the WooCommerce plugin, boxed or full width layouts, call to action buttons, portfolio section with video and image functionality, social links and more. Loft is a mobile friendly, multi-purpose WooCommerce WordPress theme from Obox Themes. The premium ecommerce theme is ideal for online stores selling furniture, home wares and decorations, paintings and art, or anything else. The theme is very flexible so while its designed for an ecommerce shop website it can also be used to showcase your business, design portfolio, blog or other type of website. The loft theme has a super flexible homepage layout and uses the WordPress visual customizer so you can easily customise the layout and styling to suit your business. The theme fully supports the WooCommerce plugin and every page template (product page, checkout etc.) is styled and ready to go. Briefly some of the other features include: 12 page templates, unlimited colours, address page with map, team page, huge customization options, mobile-friendly design, typography manager, mult-language WPML support, lots of custom widgets and much more. 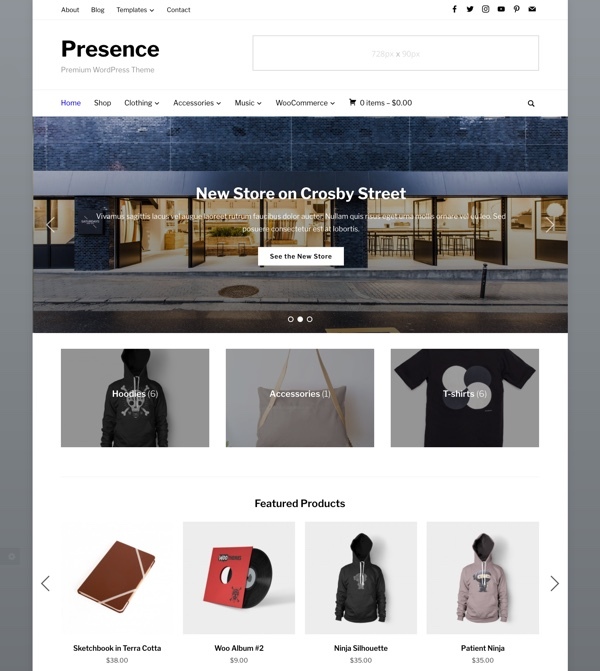 Store is an elegant and hugely customisable WooCommerce powered ecommerce WordPress theme for any size of online store – big or small. The premium theme from Obox Themes has a very clean and classy design that is perfect for any brand and is suitable for selling all types of products. 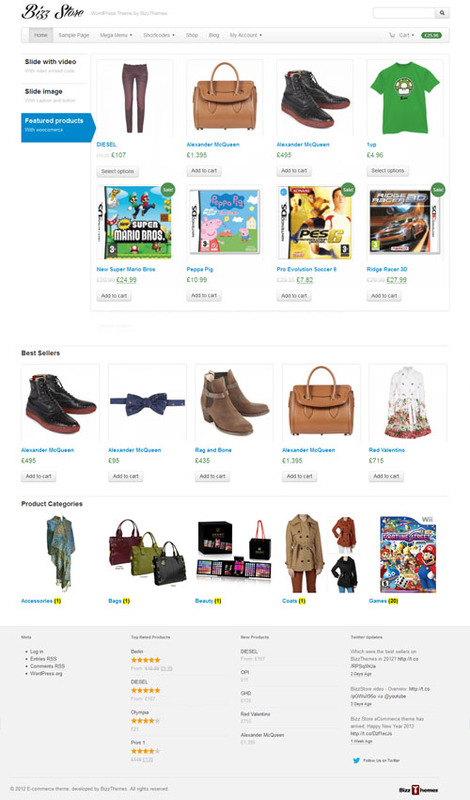 The theme has a customisable and flexible homepage lets you list items on sale, categories, featured products and recent products or collections. It has lots of colour and layout customisation options so you can easily style it to suit your particular shop or brand identity and is mobile ready with a responsive layout. In addition to the ecommerce store styling and functionality it also includes all the great business features found in other themes from Obox. Some of these features include: 12 unique page templates (team, partners, testimonials and services etc), a powerful slider, multiple layout options, portfolio templates, integrated blog and more. 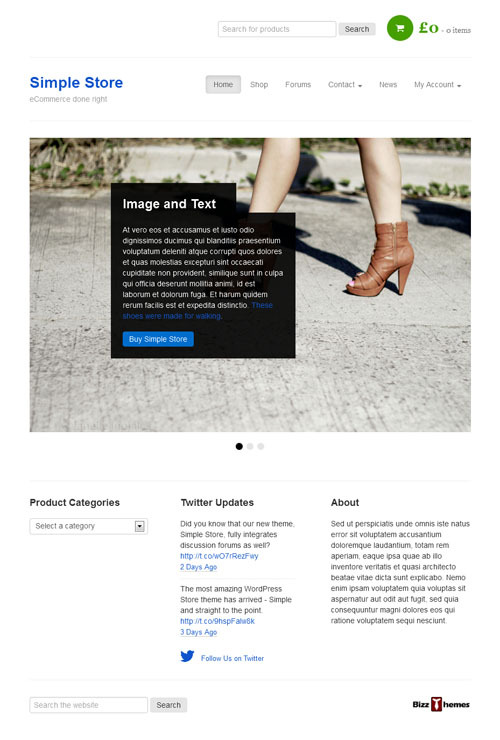 A responsive magazine and ecommerce WordPress theme from cssigniter with a clean minimalist design. The theme has a multiuse, flexible structure and can be a magazine website, an ecommerce store or a combination of both. Ecommerce functionality (if required) is powered by the powerful WooCommerce ecommerce plugin. The theme has alternative layout options, mobile responsive design, shortcodes, theme options and more. 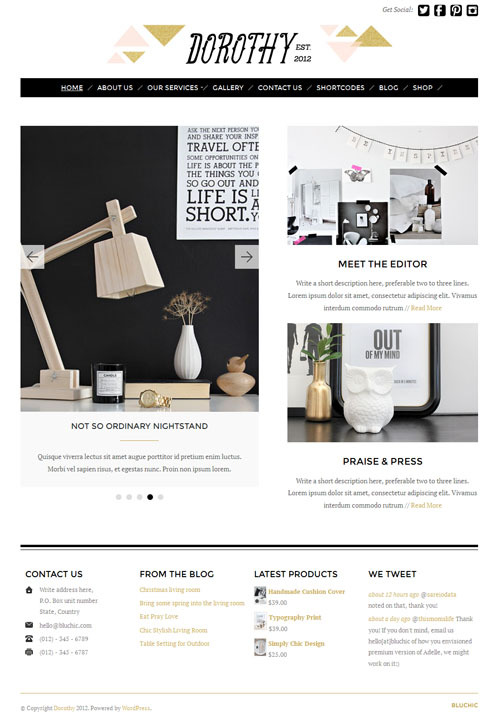 eStore from Elegant Themes is a stylish premium theme that helps transform a WordPress blog into an online store website ideal for selling products on the web. The theme doesn’t include its own shopping cart, but rather keeps itself open for integration with some of the most popular (and free) ecommerce WordPress plugins, including eShop and Simple PayPal Shopping cart. The theme features 5 colour schemes, drop down menus, options panel and more. A premium ecommerce WordPress theme with a vintage / grunge look and a clean, minimal layout. This flexible premium theme from Obox Themes also works as gorgeous video blog, portfolio website or a great looking standard blog if you wish. See the video version here. It uses the free WooCommerce ecommerce plugin for ecommerce functionality which has enterprise level quality and features. Some of the ecommerce features included in the theme are: a flexible slider that can display blog, product or portfolio posts, a drop down shopping cart, beautiful purchase button areas, and sale/price tabs. The theme can also be used for video, and display videos from any third party video hosting site. It can alternatively display photos instead of video for use as a portfolio or standard blog. Other highlights include the responsive design making it looks great on desktops, tablets and mobiles, a widgetzied homepage that can show unlimited videos, portfolio page template, and a custom video post page for HD video with a massive 940px view port. A flexible minimalist ecommerce WordPress theme from UFO Themes. The premium theme is powered by the WooCommerce ecommerce plugin which allows you to sell anything be it a physical products or digital downloads. The theme is built on the iCore framework which includes a number of powerful features such as intuitive options panel, SEO options, localization, shortcodes and more. Lux is a minimalist, business portfolio WordPress theme from Press Coders. The theme is ideal for interior designers, service professionals and anyone who wants to show off large image portfolios. Lux has a fully responsive design so it automatically scales perfectly to fit any size screen on a computer or mobile device. Other features include a filterable responsive portfolio with custom post type and template, a touch capable flex slider, 6 pre made colour schemes and colour pickers for customisation, ecommerce integration and more. Intrigue is a beautiful responsive ecommerce WordPress theme powered by WooCommerce. 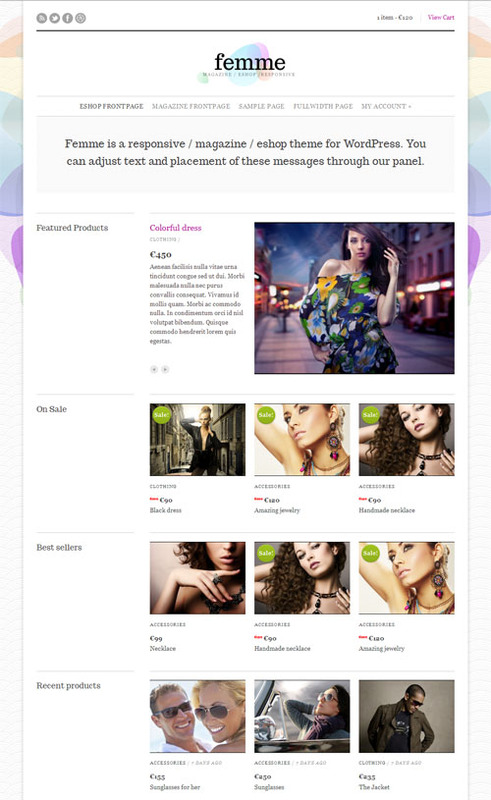 The premium theme from cssigniter is suitable for any type of product or shop. It has 7 colour scheme options, a mobile responsive layout, custom theme and WooCommerce widgets, shortcodes, theme options panel and more. 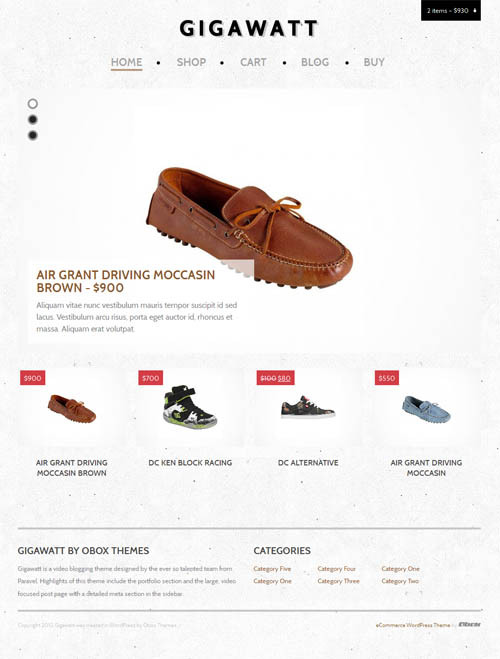 WooCart is a good looking ecommerce WordPress theme from Templatic that will allow you to showcase and sell products in style. The premium theme includes support for WooCommerce and Jigoshop plugins so you have an option which ecommerce solution to use. It has a widgetized homepage so you can easily customise it with various content via drag and drop ease. You can choose one column or two column layouts for each page, and it has an integrated blog. The theme comes with an extensive selection of shortcodes created using Twitter Bootstrap to create alert boxes, icon lists, add tabs, galleries, tooltips, popovers and more. Other features include a featured slider, mega menu, bbPress compatibility and a mobile friendly responsive design so it works in iPads, iPhones and all other mobile devices.